The monarchy was put under intense spotlight lately especially following the resignation of Sultan Muhammad V as the Yang di-Pertuan Agong. There will be a new Yang di-Pertuan Agong by the end of the month. Many are anxiously waiting for this event with the anticipation that it will also bring some new and fresh dimensions in line with the aspirations of a “New” Malaysia. Some dimensions may not be as new and could restore what has been taken for granted, if not forgotten as days went by. This is apparent from the alleged move to have a new set of laws aimed at protecting the position of the monarchy which could be the first initiative ever. That there is a need to consider this now despite the many prevailing laws points to a worrying trend for the future. Has something gone out of hand? More so because the royal institution has always been closely interpreted as the “people’s custodian” taking on from a long established tradition of the Malay(sian) culture. 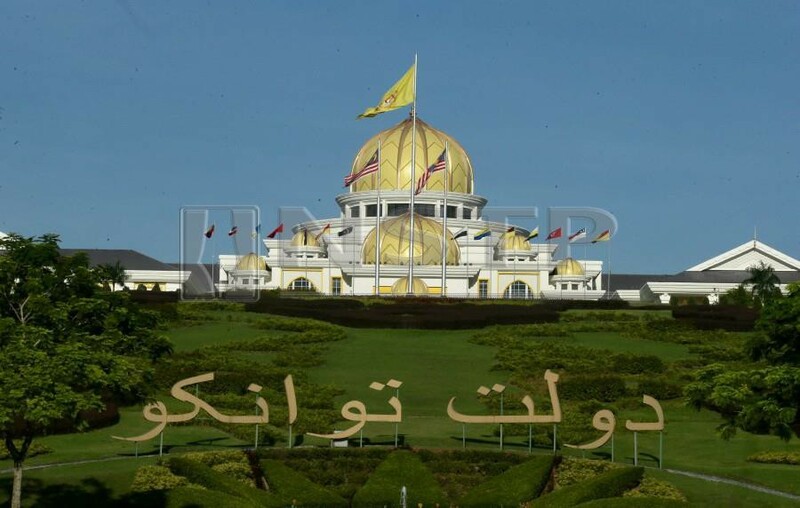 The salute, “Daulat Tuanku”, carries this notion implicitly, as a bond between the ruler and his subjects. This is of prime importance because it is the institution’s raison d’etre. It is therefore natural that the royal institution keenly reflect the innate values that the people have come to cherish. Primary to this, the concept of justice is juxtaposed with the principles of fairness and trustworthiness (amanah). Increasingly this is coupled with the idea that being transparent is valued as part and parcel of arriving at justice and dispensing it appropriately. Because the ruler is a sovereign symbol (explicit in the national anthem as well as the Rukun Negara) for the rakyat and country, he without fail is their de facto guardian — literally and figuratively. Hence, the values must reflect that of the rakyat with all humility and compassion to strengthen the bond between them in defining the overall relationship for a peaceful and harmonious co-existence. Perhaps this is the most challenging part since the relationship today is shaped more by social and material status bordering on arrogance and selfishness (egocentricity) rather than humility and the “otherness”. The question of aib (humiliation) is no longer an important consideration all around. We are often shocked to see what is aired in the (social) media when someone speaks because he has to say something instead of having something to say. The difference between the two is already blurred which otherwise would differentiate between a fool and a sage respectively. Add sarcasm to the message as the case may be, the gap between the two becomes irreconcilable. Examples are aplenty forcing one to wonder where we are actually heading. And is that why we need a new set of laws? Above all, the royal institution must be anchored on established norms of great civilisations. Since civilisation almost always emerged from communities thriving on a “wholesome” family structure, it makes it even more compelling to argue the need for a “wholesome royal family” beyond just any individual, including the ruler himself. After all, the ruler rules over his family first before his subjects, and the two must be congruent in numerous aspects of governance, justice, decorum and values that neatly mirror the highest form of civilisation possible to be cherished by all (at least, the majority) in nurturing a respectable way of life that is foremost humane and dignified while promoting diversity in unity. This is not new of course since the Sultan of Perak Sultan Nazrin Muizzuddin Shah often spoke about them in many royal addresses even when he was the then Raja Muda. That he is part of the royal institution made it clear to all as to where the conscience of the royalty lies which is well summed up as “raja dan rakyat berpisah tiada”. It depicts the true meaning of “raja berjiwa rakyat” surpassing the clichés that are normally witnessed in celebratory events. Framed within the above-mentioned context, the choice of the next Yang di-Pertuan Agong is rather plain to see. Expectation is indeed higher aligned with the demands of Malaysia Baru where the royal institution remains as one of its pillars. It must therefore remain strong and relevant to meet the aspirations of the times. The time to demonstrate this is now, underlined by the well accepted adage: “Raja adil, raja disembah; raja zalim, raja disanggah”. In a sense, the rakyat is the final arbitrator. Ampun Tuanku.